for your Chevrolet vehicle. Made from the highest quality materials for maximum reliability and an OEM texture is applied so all kits match the original dash appearance and create a seamless installation. For expert installation advice or for technical details please call our expert customer service staff! 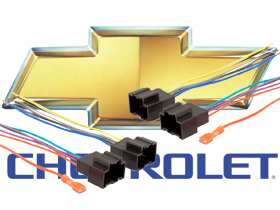 Get your affordable Best Kits Chevrolet OEM Radio Harness now!